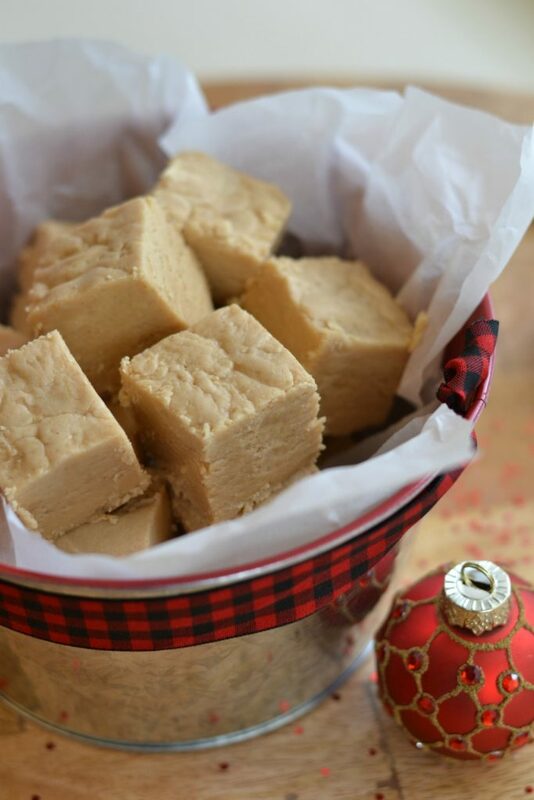 When I was a little girl, my grandmother’s sister used to make a big batch of peanut butter fudge every year during the holidays. From the moment I took my first bite, I was forever changed. I hadn’t thought it was possible for anything to taste that good! It felt like I’d died and gone to a sweet, peanut-buttery heaven where I danced among unicorns and fluffy white clouds. Every year, I looked forward to visiting my grandma after her fudge had been delivered. Since she knew how much I loved it, she always made sure to save several pieces for me. I envisioned the peanut butter fudge-making process as being something complex, requiring candy thermometers and special sugars, and perhaps a little bit of fairy dust. The fudge seemed like the sort of thing that only great-aunts could make…something that could never be replicated by a mere mortal like me. 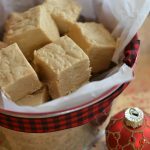 So when I came across this super easy peanut butter fudge recipe in a family cookbook years later, I was shocked to say the least. There were only four simple ingredients! And the instructions were only two sentences long! I was so excited to know it was that simple to replicate the fudge I’d fantasized about for so many years. 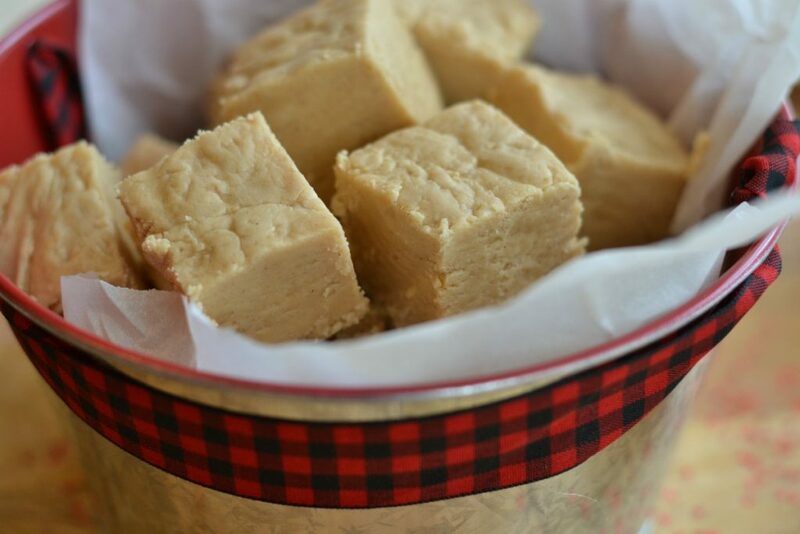 Sure enough, the batch I made came out every bit as delicious as the one from my grandma’s sister, and now I knew I could have my favorite fudge whenever my heart desired. Soon I became famous amongst my friends for this delightful peanut butter fudge. And, just like my great aunt, I never let on how easy it was to make. I had fun letting everybody think I had some secret fudge-making powers, or perhaps some obscure ingredients up my sleeve. Nope. Just a container of marshmallow fluff (marshmallow creme), some good old fashioned creamy peanut butter, milk, and sugar. The secret’s out, and I can’t wait for y’all to make this yourselves and become your own fudge-making hero. 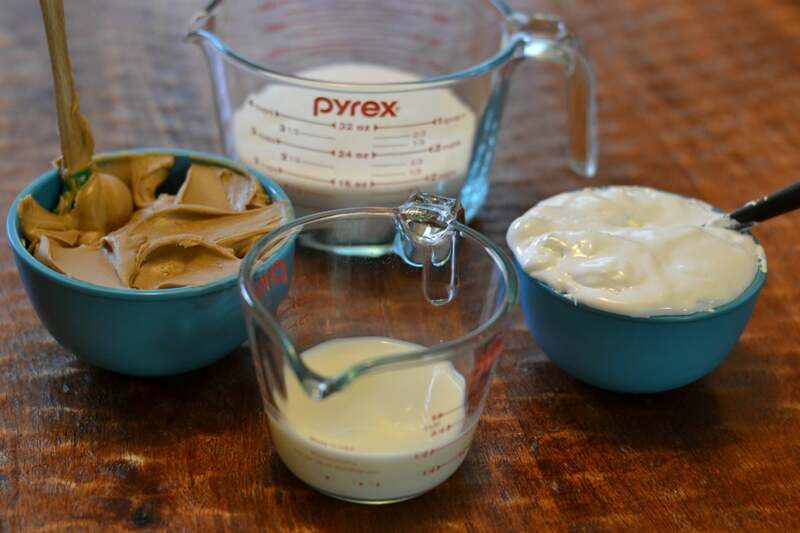 As much as I love natural peanut butter, you don’t want to use it in this recipe. Stick with traditional creamy peanut butter (I almost always use Jif). The fudge-making process works best if you put the fluff and peanut butter into bowls (as pictured above) before adding them to the milk/sugar mixture. That way you can add them quickly and make sure everything melts together without separation. 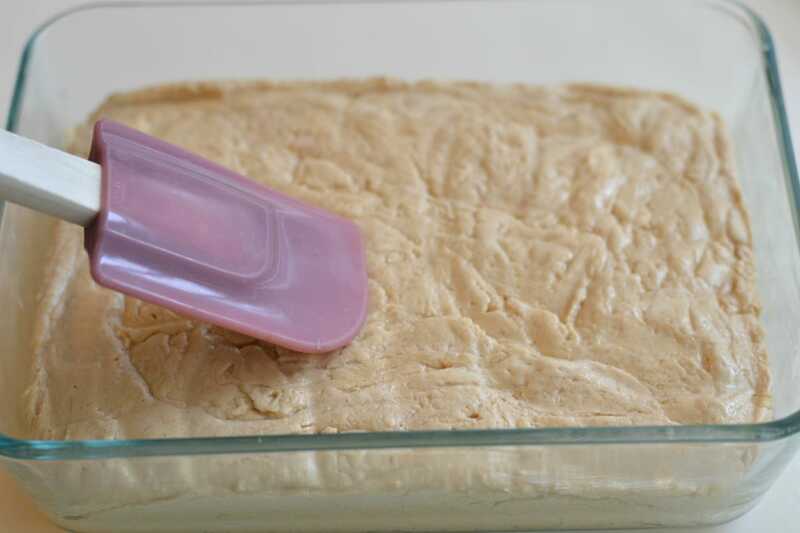 Easy peanut butter fudge made with marshmallow creme (fluff). Butter a small pyrex or 8x8 baking dish and set aside. In a medium saucepan (preferably non-stick), combine the milk and sugar, and bring to a boil. Continue to boil, stirring constantly, for three minutes. Remove the pan from the heat and add the peanut butter and marshmallow fluff. Stir until well combined. It shouldn’t take long. Once it’s cooled in the refrigerator, it should be set. Just let it come to room temperature first before refrigerating. I just made this fudge and it is delicious! I was able to slice it after it cooled but it is still pliable? Is that how it should be? or should it be more firm? Still very yummy! and addictive!